Tel Uvirith (the Telvanni Stronghold) is notorious for feeling cold, bare, and inhospitable. There are many mods that rectify this, and I’ll say most of them are very good. However, the mods that add staff and retainers also tend to (in my opinion) overreach in terms of lore and characters. Many people love the extra quests and writing because it creates a richer experience, and I do like the idea of being inundated with administrative duties as soon as you ascend to Archmagister/Archmagistress. Unfortunately (for me) I’m super picky, and I usually need my mods to be as close to vanilla lore/characterizations/tone as possible. 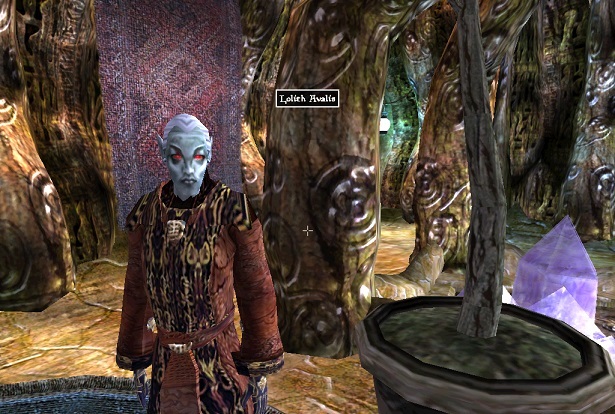 And here, I feel that all Tel Uvirith mods which add staff fail to keep the tone and lore consistent with how I perceive Vanilla Morrowind to be. Therefore, I have stuck to the (mainly) architectural improvements for Tel Uvirith, and am incredibly pleased with these. The two I currently favor are “Building Up Uvirith’s Grave” (to make a town grow up incrementally around Tel Uvirith) and “Uvirith’s Manor.” But these still leave the tower feeling cold and lifeless. 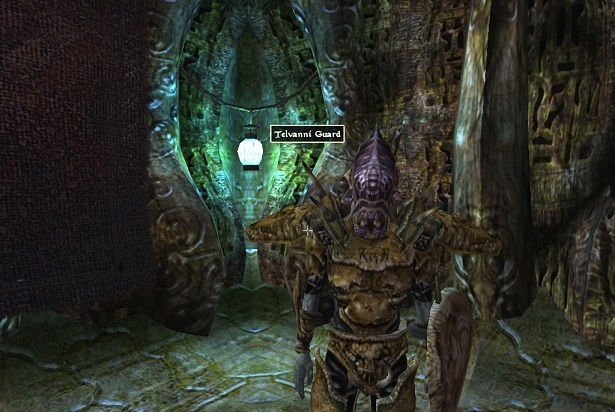 All other Telvanni towers and manors are bustling with staff, servants, retainers, courtiers, and guards. 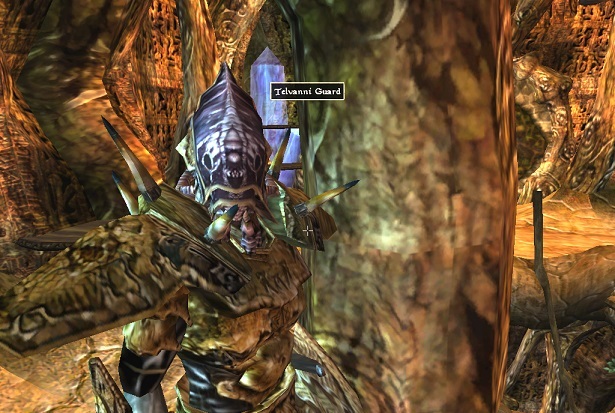 Heck, even Redoran and Hlaalu manors are teeming with staff. Why not Tel Uvirith? I honestly have no idea. So, I have made a mod for myself that adds staff to Tel Uvirith. 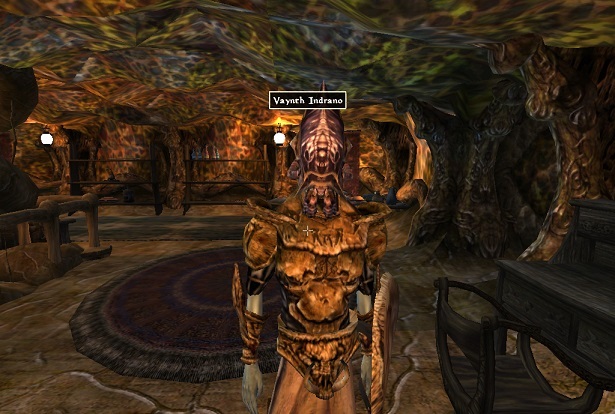 I wanted it to be compatible with Vanilla Morrowind, as well as the two other Uvirith mods I use, so currently it only adds staff to the areas built in Vanilla Morrowind. I’m going to make a separate mod that adds staff to the “Uvirith’s Manor” expansion very soon, but of course it is lower priority for me due to the dependencies. 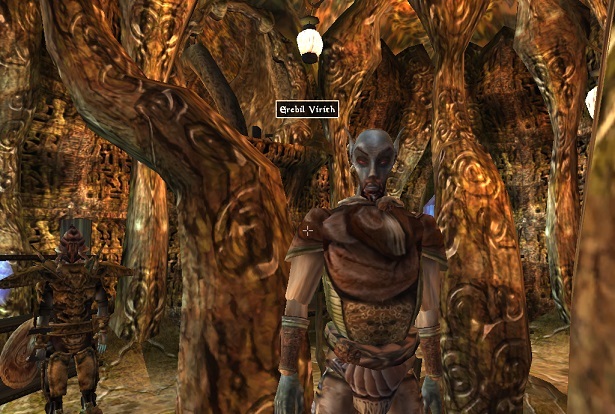 Already, Tel Uvirith feels more alive and bustling to me. Now it feels more similar to all the other councilors’ towers, and finally contains a retinue worthy of the Archmagister of House Telvanni. You can either ignore him and sleep in there anyway (as you still own the bed because it is in your tower and he is a staffer living on your property), or you can go in and delete Cyrellon manually. Should be easy enough with Enchanted Editor or ought. 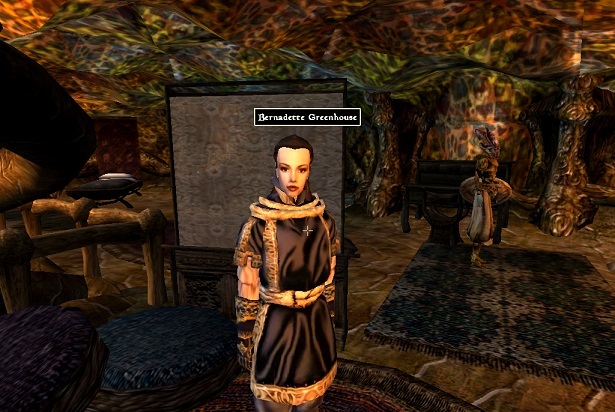 Note 2: if you are not House Telvanni, then this mod will make killing Reynel Uvirith much more difficult, as she will spawn in the same room as Bernadette Greenhouse (Breton Agent) and Vaynth Indrano (unique Dunmer guard) where you would usually expect to find her unaccompanied. Bernadette Greenhouse, agent. I imagine her as my fixer that I keep on staff. I have troubles that need fixing, or dark deeds that need doing, Bernadette will take care of everything. She’s my “woman of business” ala Childermass. Cyrellon the Quick, Nightblade. Another “Man of Business” I keep on staff for tasks which require sensitivity and espionage. That is to say, politics. The lower floor guard. Just a regular old guard. Erebil Virith, Commoner. A plucky servant that fixes things that break down and does the washing. 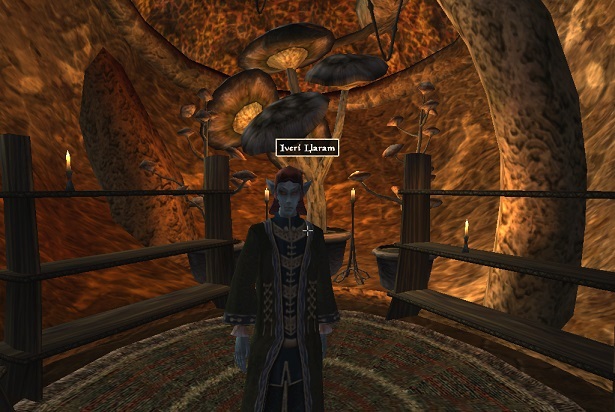 Iveri Llaram, Mage. She’s a high ranking Telvanni wizard on my staff, and a diligent researcher. Lolith Avalis, Sorcerer. 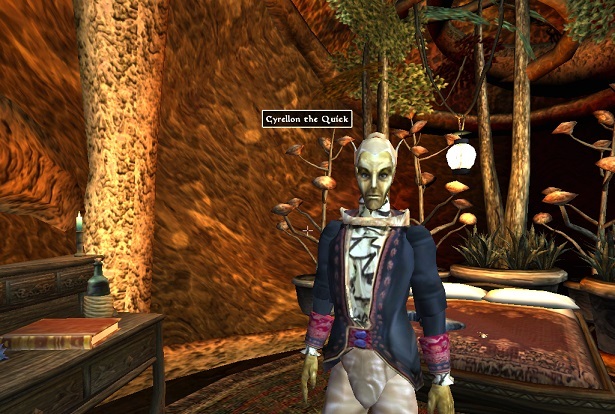 Another high ranking Telvanni staffer. Sells spells and spell making services. Riavan, Commoner. 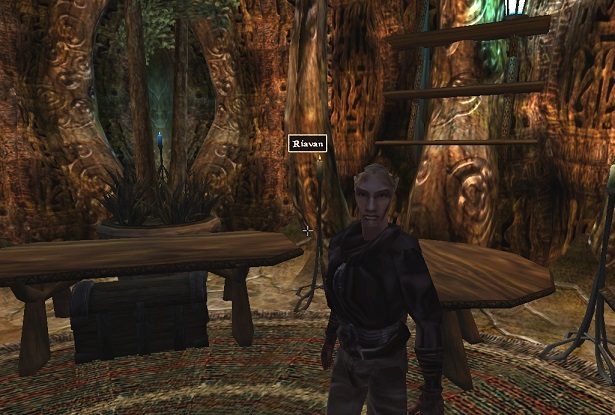 Another servant and House Telvanni Hireling who takes care of household chores and tasks. The upstairs guard. Just a regular guard. Vaynth Indrano, a unique guard. She does not respawn like the other guards, and is a battlemage, but will still patrol and otherwise act like a regular guard. I also made a few more guards that I didn’t bother to screencap. One in the dungeon and an archer guard on the top of the tower, etc. The slippery slope into mod making, I guess. First I start using mods, then I find that none of them do *exactly* what I want, and then I start making mods. I realize this is everybody’s “modder’s journey” in a nutshell. This is so rad. I hope you add it to the mod repository. Cyrellon the Quick is my favorite bio.